Jared Wilson is one of those people who can just flat out write. Whether it's on his blog, his many books, or his strange obsession with Tom Brady on twitter, his writing is always full of snarky remarks, but also deep insights into the gospel. His new book The Story Telling God is no exception. In it he takes on the parables of not only Jesus, but the rest of the bible as well. "When Jesus teaches a parable He is not opening a copy of Chicken Soup For the Soul, or a fortune cookie but a window to the hidden heavenlies. He is revealing a glimpse of eternity crashing into time, a flash photo of His own wisdom brought to bear." Rather than teaching the parables as moralistic fables, Wilson shows us the the meaning of parable is to explode the truth of the gospel into our hearts and minds. The literal meaning of parable in the Greek is just that, to come along side of. They run along with the teachings of Jesus and get down into our hearts and mind and expose the truth in immediate ways. He also encourages us to not spend too long looking for every hidden meaning. What kind of lily did Jesus mean? What kind of rock was the rocky soil? Igneous or sedimentary? We make two main errors in parables, he says. When we simply believe they are religious illustrations, or simple allegories, we miss the point. We miss the point as well when we think of them as a Magic Eye hidden picture, where if we stare at it long enough we will see the hidden picture. This is, in my opinion, just a form of Gnosticism, where only a elite few can really get the point of the parables. Leaving the parables of Jesus, Wilson walks us through some of the major parables of the Old Testament as well. 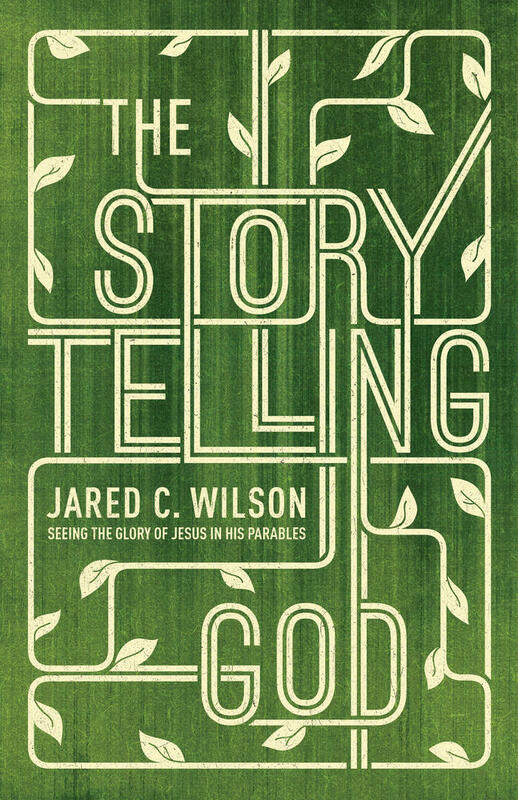 He shows us that an oft overlooked point of the Bible is that God is a God of stories. He quickly goes through several prominent OT parables, like Nathan before David, the broken garden in Isaiah 5, and the prophet Ezekiel, whose whole book is almost one big parable. The book shows us that we cannot understand how the kingdom works without someone showing us. "Time and time again we think we know how this thing works, but time and time again we are wrong. Jesus' disciples thought they knew how revolution would come; you bring it by sword. But this is not how the revolution came, and Jesus rebuked those who tried to bring it with physical violence. Time and time again the church thinks we know how people change. We tell people to get their act together, of course. And then we are surprised when this doesn't seem to work. Why can't we just nag someone into spiritual maturity?" This book is not what I thought it would be when I picked it up. I thought it would be a word by word walk through the parables, in commentary fashion. But I was pleasantly surprised when Wilson took time to guide us through to see that when Jesus point to "real life" scenarios He is showing us there is "realer life" to be had. Wilson's strong dependence on the grace of God and amazement at the way God works moves me to behold the working of God in new light.